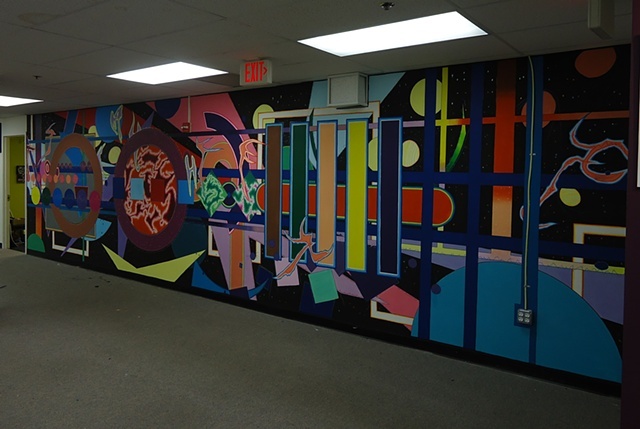 I had a great deal of exhausting fun putting this piece together, always with the knowledge that it would be destroyed after Artomatic closes. So sad, but everything put together sooner or later falls apart. That's life! I used up a great deal of annual leave hours, not to mention caloric energy, and it was totally worth it. My long-term goals include the production of further murals in the various painting styles I work with, be it in commercial or private spaces. If this interests you, or you have leads you'd like to share with me, please feel free to contact me.